If you loser power due to a storm, it’s nearly impossible to predict when it will be turned back on. Because of this it’s important to plan ahead and have food items available that won’t require cooking or refrigeration. Stock up on things like canned goods and nonperishable items. Cans of soup, packs of crackers, trail mix, peanut butter, cans of tuna, dried fruit, and much more can be stored easily in your home. In the event that the power goes out unexpectedly your pantry will be stocked and ready to go whenever you need it. There are too many other concerns to deal with when it comes to powerful storms, don’t let your family’s hunger be one of them. 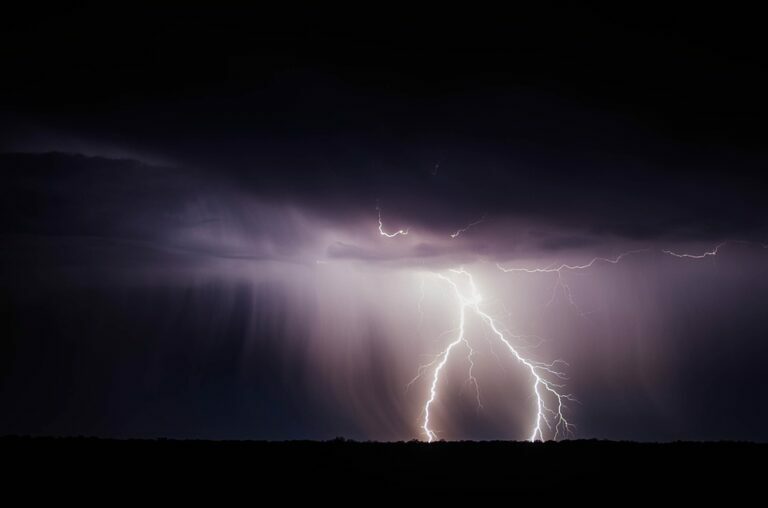 Strong storms mean you may lose your light sources, so stock up on flashlights and the batteries for the flashlights (make sure you know what kind they take). You can also grab some candles to keep common areas lit. Can’t watch television? Computer’s dead? How about a good old-fashioned game to pass the time? Buy a fun family one and save it specifically for a stormy day. You can grab a board game like Sorry or Scrabble or go for a classic game like Charades or 20 Questions. Summertime storms could mean no air conditioning and our home improvement company knows no air conditioning can get brutal. While they may not be as comfortable as AC, hand-held fans can help keep you cool until your cooling system is back up and running. You never know when you’re going to need your phone, tablet, or laptop, so keep a good charge on them if you’re expecting a storm. You can also look into solar charging systems that you can power up during the sunny hours and then use if you lose electricity. Since 1980, our home improvement company has been helping homeowners throughout the Delaware Valley and beyond prepare and recover from storms. Give us a call and we’ll inspect your roofing, siding, gutters, or any other part of your home you think may be susceptible to a bad storm. And if you experience damage, our 24/7 specialists are here to fix whatever is needed. This entry was posted in Storm Emergency Service and tagged asphalt shingles, Doors, energy, home tips, PJ Fitzpatrick, Roofing, Siding, Windows. How Do Energy-Efficient Windows Work?